Oscar Romero was a true hero. He spoke out against the violence and injustice suffered by the people of El Salvador. He said, “The ones who have a voice must speak for those who are voiceless.” He was killed for speaking out on behalf of others. As a child, Oscar Romero lived with his family. He wanted to serve others, so he went to the seminary and was ordained a priest. He was later named archbishop of San Salvador, the capital city, in 1977. He was a true shepherd who cared for his sheep. Many people lived in poverty in El Salvador, and he dedicated his life to helping them. Romero pleaded for justice for the poor people of his country. He spoke out against the growing violence and killing of innocent people by government death squads. He was a person of courage who stood up for what was right. His homilies were broadcast on the radio so everyone could hear what he said. Oscar Romero said, “We must continually say no to violence and yes to peace.” These words have meaning for our lives today, as well. He knew that speaking out against violence was dangerous. Romero received death threats, but he continued to demand justice for the poor. Archbishop Romero was shot and killed in 1980 as he said Mass in a hospital chapel. His example reminds us that we are called to work for justice and peace in our communities and our world. 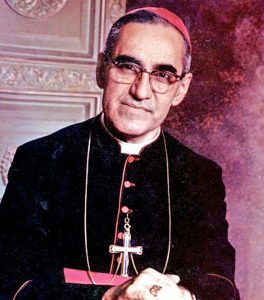 Oscar Romero was canonized in 2018. ■ Talk about his life. Where did he live? For whom did he have compassion? What does it mean to “speak out for those who are voiceless”? Whom did he speak out against? How did many people hear his homilies? 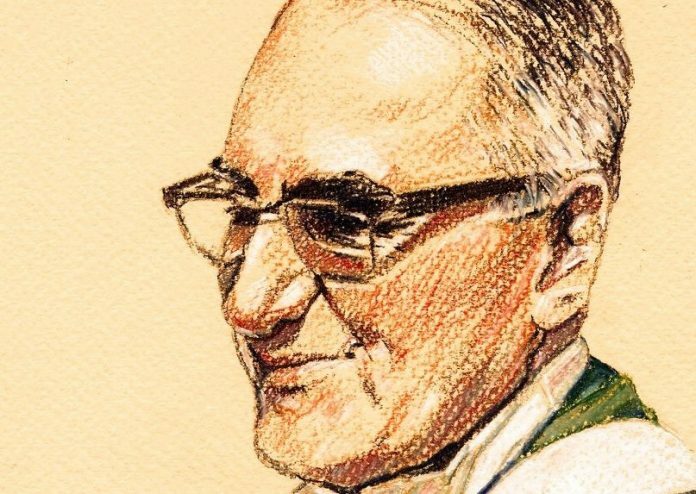 What happened to Archbishop Romero at Mass? Why is it important for us to work for peace in our communities and our world? ■ Make good choices. We can choose to speak out in our own lives. Discuss situations when we can do this. Someone tells a joke about people of another race. Do you speak out or laugh with the others? You see a child getting bullied. Do you tell an adult or pretend you didn’t see? 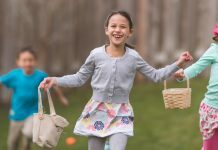 A group of kids makes fun of someone. Do you say something or keep quiet so they don’t pick on you, too? God of all people, thank you for the example of St. Oscar Romero. Give us the courage to speak out as he did when people are being treated unjustly. May we look beyond our own wants to the needs of other people in our world, especially those living in poverty. Empower us to stand up for what is right and treat all people with respect as your creation. Amen. Patricia Mathson, MRE, has years of experience as a director of religious education. 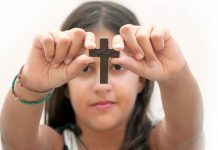 She has authored many books, including her latest: 33 Mass Lessons and Activities for Children from Twenty-Third Publications. 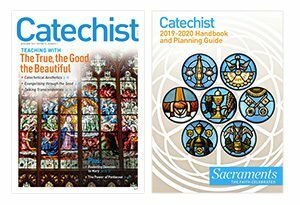 This article was originally published in Catechist magazine, March 2019.